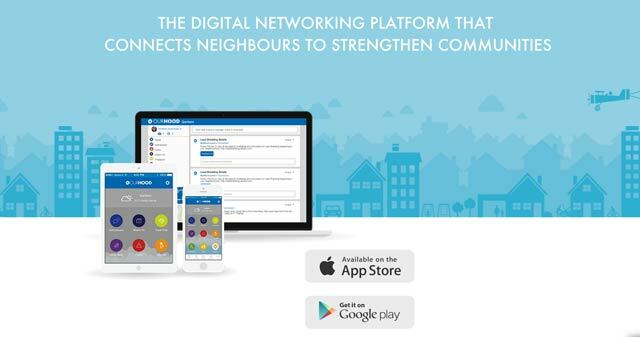 A South African website and app has attracted more than 15 000 users since its launch in May last year, bringing neighbourhoods closer together in the process. OurHood, founded by Bruce Good and William Mellor, involves users interacting with people living in their vicinity. All users are verified. Good, the MD of OurHood, said that although people have been using the likes of Facebook and WhatsApp for neighbourhood communication, both had their limitations. They began building the website in August 2013 and in May 2014 OurHood had its “soft launch” in one neighbourhood in Cape Town to test the concept. The first version of the app was launched at the end of March this year. “We are in the process now of building an all-singing, all-dancing app which is going to be really state of the art and very cool,” Good said. Hood said the unique selling point was that no one could just join a neighbourhood. They had to be verified first. “The way the system works is it feeds off Google. It starts with your physical address, it finds you within that ‘geofence’ which we’ve created. Then to actually join, you need to get verified,” he said. A user can request a physical postcard to be sent to their address, “which becomes an issue in South Africa”, so a function was added whereby users could upload a picture of their utility bill. While a barrier, it was proving very popular as it meant users in your neighbourhood actually lived there. Once the utility bill is uploaded, OurHood checks the address and verifies it, with this process taking no longer than 30 minutes from start to finish. The fastest way was to log on to the website, and invite your neighbours. They are pre-verified once they accept the invite. One of the sections on OurHood specifically deals with crime. In combination with the alerts section, if a user in your neighbourhood posts something, such as being robbed, and presses send, the whole neighbourhood is immediately notified by SMS and e-mail. “The beauty of that is you can share with people in real time,” Good said. At present, OurHood has around a thousand neighbourhoods in its database, and is receiving five new neighbourhood requests a day. The requests were not just in South Africa, but come from as far as Kenya and Botswana. “In terms of actual live neighbourhoods, we’ve got about another 500 that we are in the process of adding and users have gone [up]probably 400% from March until now,” Good said.